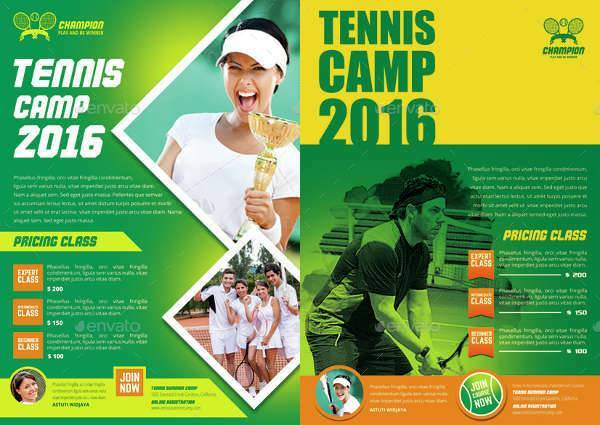 This tennis camp flyer is well organized, easy to edit and features three alternative designs. It is perfect for advertising an outdoor tennis match, tennis training or a community tennis tournament. It includes other practical features such as the ability to change images via smart objects and bleed area. 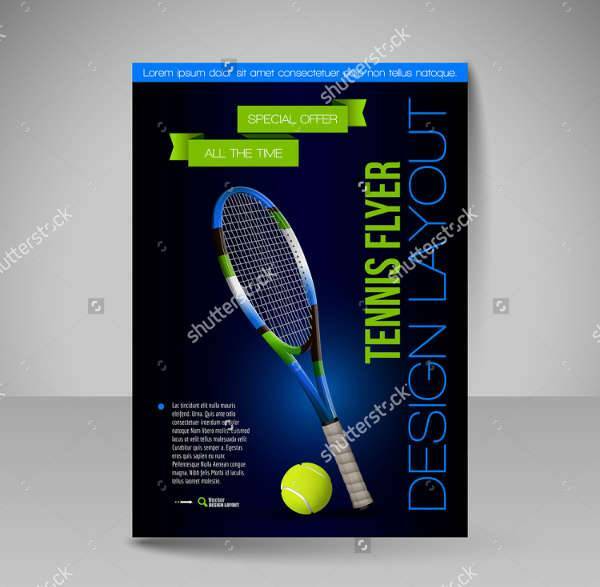 If you are searching for a sports flyer with a modern design, then go for this tennis flyer. It is perfect for promoting an upcoming tournament. It features 3 PSD file in A4, A5 and with 0.3mm bleed. The flyer has 8.5 x11 inch dimension and can even work to promote bar screening. Are you organizing a tennis competition? 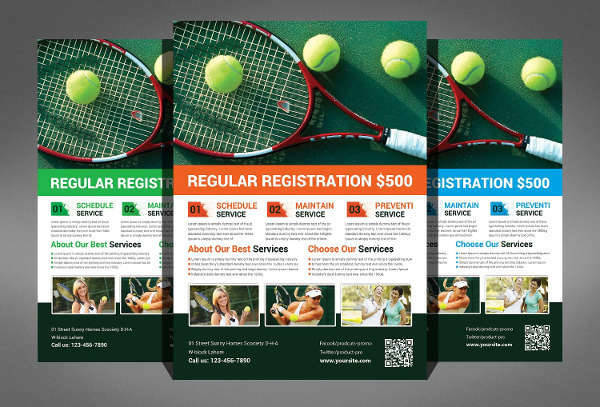 Then this eye-catching tennis flyer is perfect for your organization. It comes in different image resolutions like 72dpi and 300dpi enabling you to choose different downloading options such as maximum, large, small and medium. 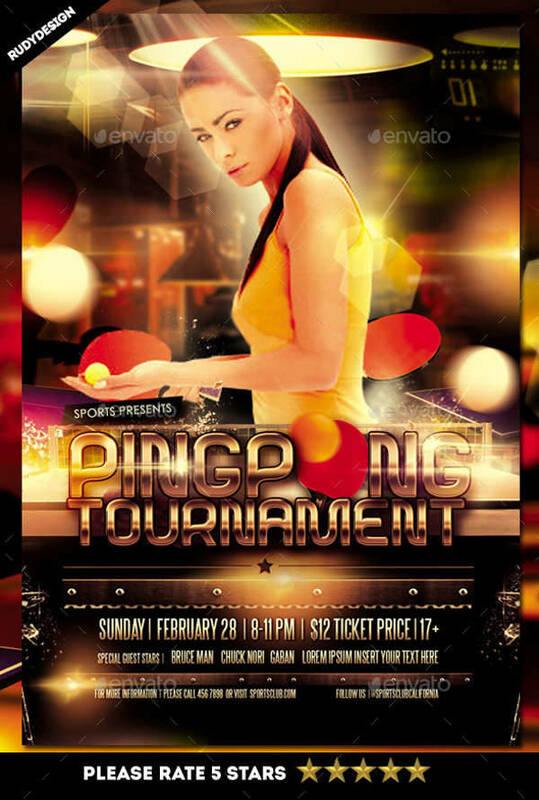 This tennis flyer is ideal for table tennis sports events or Ping Pong. It is PSD layered, has editable fonts, CMYK, print ready, with bleed and has 300 dpi resolution. It comes in a 4 X 6-inch dimension with different fonts and works on minimum Adobe CS3 version. 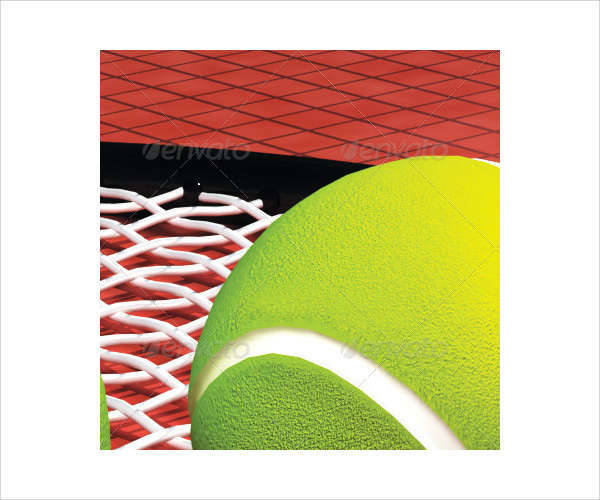 The high-quality image of tennis balls and a tennis racquet immediately brings forth fond memories of a fun tennis game. 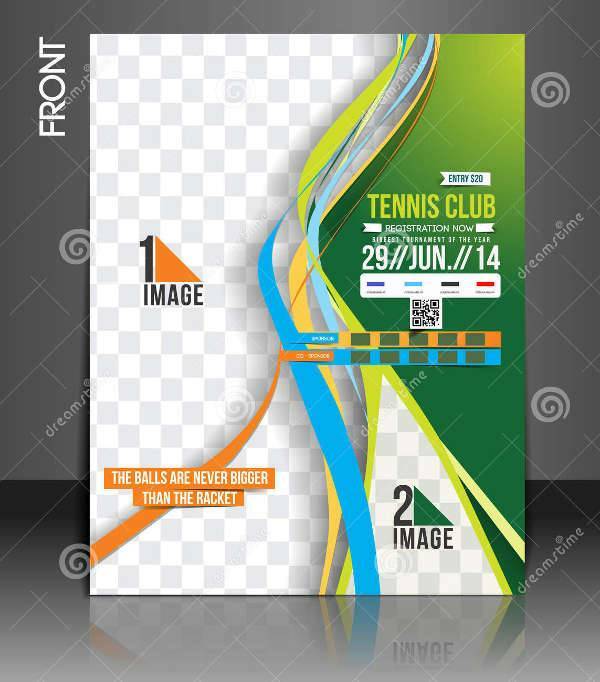 This tennis game flyer has 8.27×11.69 inches print dimension, Photoshop PSD graphic files and 3mm bleed making it one of the best designs for this sport. 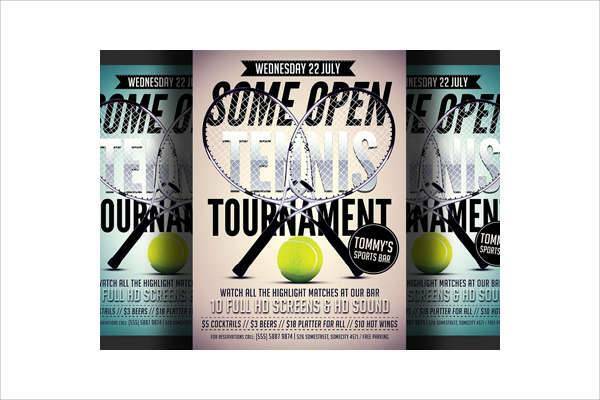 If you want a high-quality tennis themed flyer, then opt for this printable tennis flyer. It is professionally designed yet gives you the ability to customize it easily according to your needs. It is print ready, the images are in vector format and is fully layered. The color, text, and font can be altered. This template is a perfect example of an intense tennis match. 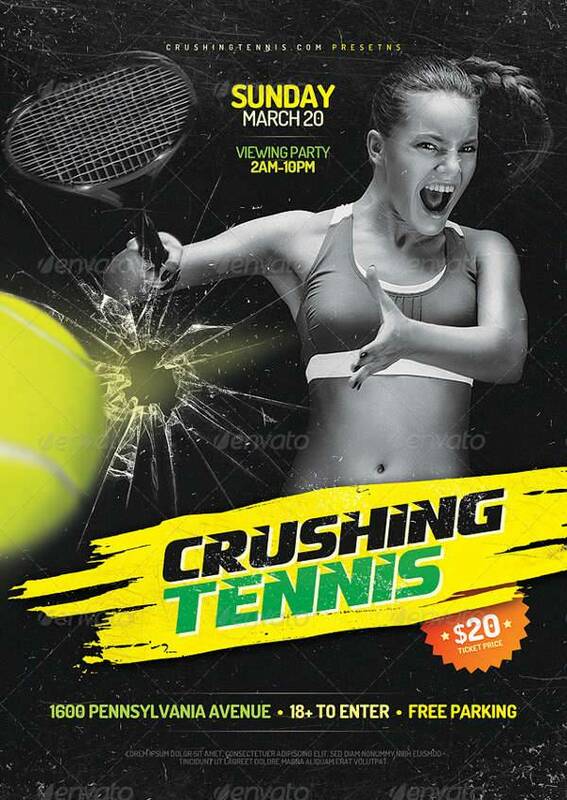 This crushing tennis flyer is CMYK color mode, print ready, has a dimension of 6×8.4 inches and 300 dpi resolution. The file is clean, well-organized, fully layered, easy to customize and created with Adobe Photoshop CS5. 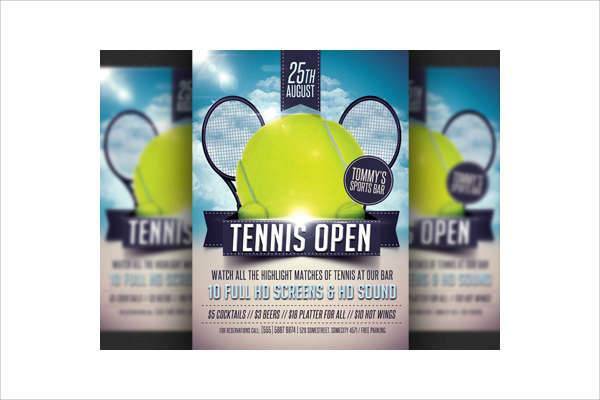 This modern tennis flyer has a simple tennis look that is ideal for promoting any upcoming tournaments as well as bar screening. All texts are fully editable, has 3 PSD files and the elements are in separate layers. 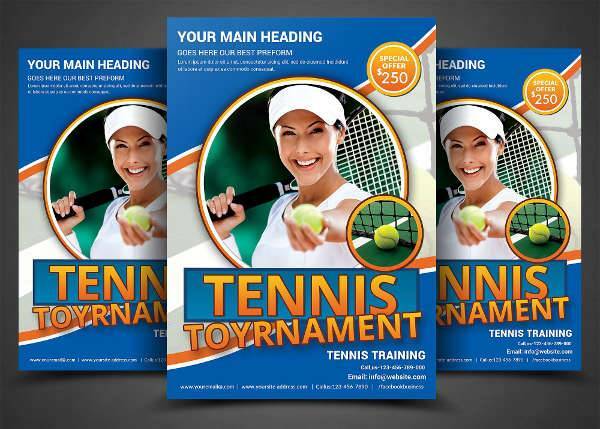 Flyers are one of the most cost-effective ways to promote tennis or any other sports tournament. These printable templates are well designed and make it easier for you to make adjustments such as text, color, and images until you get your preferred end product. If you have a commercial website, you can use internal link anchor text to boost your search result.